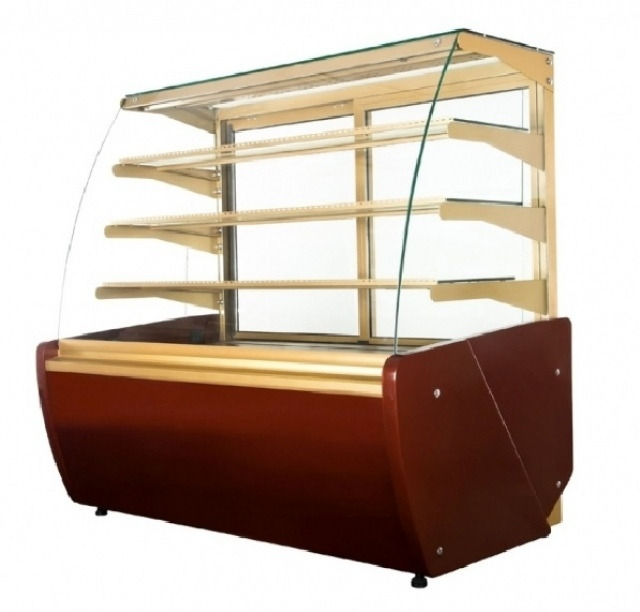 Confectionary counter with brown (CROMADEX K4001) powder coated front panel, varnished MDF sidewalls and golden aluminium profiles. The counter is equipped with dynamic cooling, automatic defrost, 3 glass shelves, lighting (highest shelf) and adjustable feet. Colour of the sidewalls and the front panel is available in the given CROMADEX colours – it’s optional accessory. Counter is available with silver aluminium profiles – it’s option too.